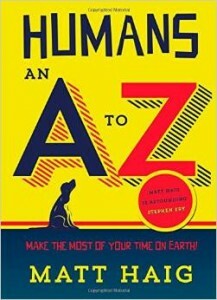 Humans: An A-Z is published by Canongate (UK, Jan, 2015). Do you: Know a human? ; Love a human? ; Have trouble dealing with humans? If you’ve answered yes to any of the above, this book is for you. Whether you are planning a high level of human interaction or just a casual visit to the planet, this user-guide to the human race will help you translate their sayings, understand exotic concepts such as ‘democracy’ and ‘sofas’, and make sense of their habits and bizarre customs. A phrase book, a dictionary and a survival guide, this book unravels all the oddness, idiosyncrasies and wonder of the species, allowing everyone to make the most of their time on Earth. It will be published in German (DTV), Polish (PWN) and Chinese (Xiron). The Humans was chosen as one of the 20 World Book Night 2014 books. Thousands of copies of the book were given out for free on April 23rd 2014. 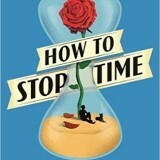 Thanks to all of the World Book Night givers and do get in touch if you received a free copy. 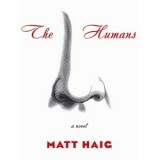 The Humans has been nominated for an Edgar Award. The shortlist can be seen here. The awards will be presented at the association’s sixty eighth gala dinner, in New York, on 1 May. The nose knows! The Humans will be out in America this week published by Free Press. I’m doing a couple of events in America – San Diego 11th July and Los Angeles 14th July – see events for more details. 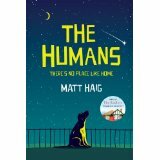 The Humans is also available as an audio book – listen to it here. I am very pleased to say The Humans will be published in Germany by DTV, Spain by Roca, Italy by Einaudi Stile Libero, Turkey by Kolektif and Russia by Sindbad.